Days of Our Lives spoilers reveal Eli Grant and Lani Price argue over baby David, which could end up tearing the couple apart on DOOL on NBC. Days of Our Lives spoilers indicate that Rafe Hernandez and Lani Price continue to grow closer because of the baby causing Eli Grant to worry on DOOL. Days of Our Lives spoilers indicate Lani Price and Rafe Hernandez spend the night together. They’ve bonded over the baby, but will she be tempted towards her boss because of this baby? 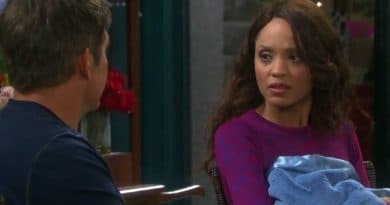 Days of Our Lives spoilers divulge that Lani Price grows closer to baby David, causing her friends and family to grow worried. ‘Days of Our Lives’ Spoilers: Eli Grant And Lani Price Reconnect- Salem’s Newest Hot Couple? Days of Our Lives spoilers reveal that Lani Price and Eli Grant might become Salem’s hottest new couple on the NBC soap. 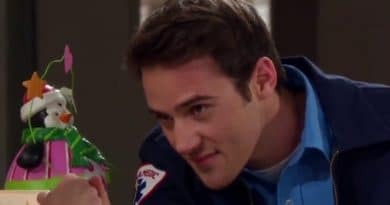 ‘Day of Our Lives’ Spoilers: JJ Deveraux Moving On- New Woman In His Life? Days of Our Lives spoilers tease that JJ Deveraux (Casey Moss) is ready to move on. There is a new woman in town that will catch his eye.